An update from Adrian Manning from Manning Elliott. We’ve got a bigger office since last year which means we’ve got more space to review samples etc. 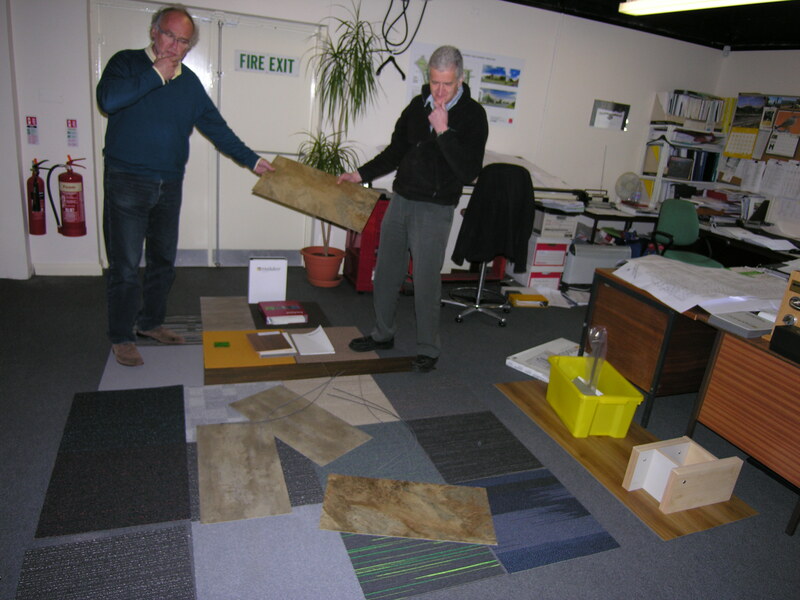 It’s a mixed blessing as you can see from the plethora of carpets and vinyls that we’re looking at for the new offices etc! You can see the concentrationl levels! This is the ironmongery suite that’s been chosen, maybe you can zoom in to see it better. It’s a good, chunky, contemporary lever handle design that won’t, or shouldn’t, catch any unruly sleeves. No prizes for the first one that does get caught! 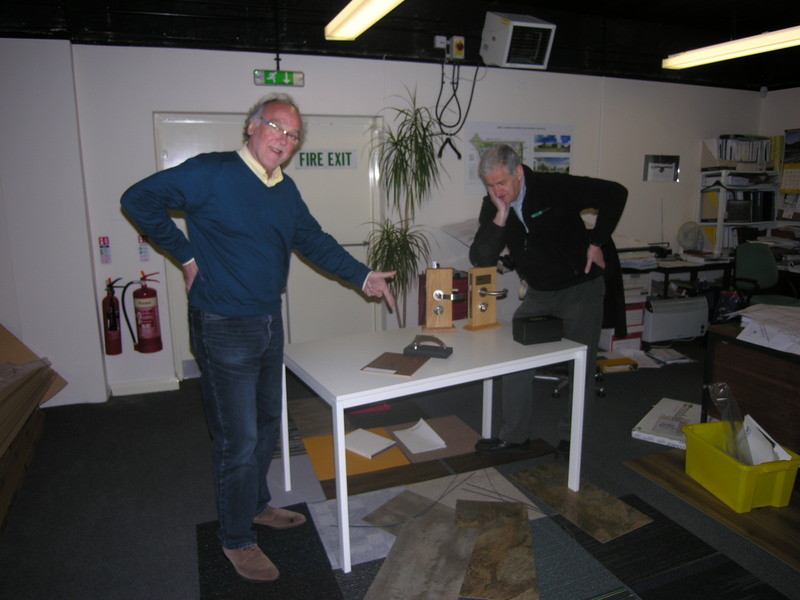 This entry was posted in Design, News and tagged Adrian Manning, Design Team, Ironmongery, jubilee house, Manning Elliott by Helen Broughton. Bookmark the permalink.